Dream trip? Or a nightmare of trouble? When Hannah Gruen inherits a farm from a distant cousin, the Drews, with Bess and George, drive off for a scenic Oklahoma vacation. The plan is to sell the property and pack up whatever mementos Hannah wants to keep. But a terrifying encounter with a tornado is just the beginning of trouble. In a duffel bag Nancy discovers what looks like a ransom note—and a gruff intruder appears, insisting that the bag is his! Is he planning a kidnapping? Nancy contacts the local police, but they think it’s a prank. 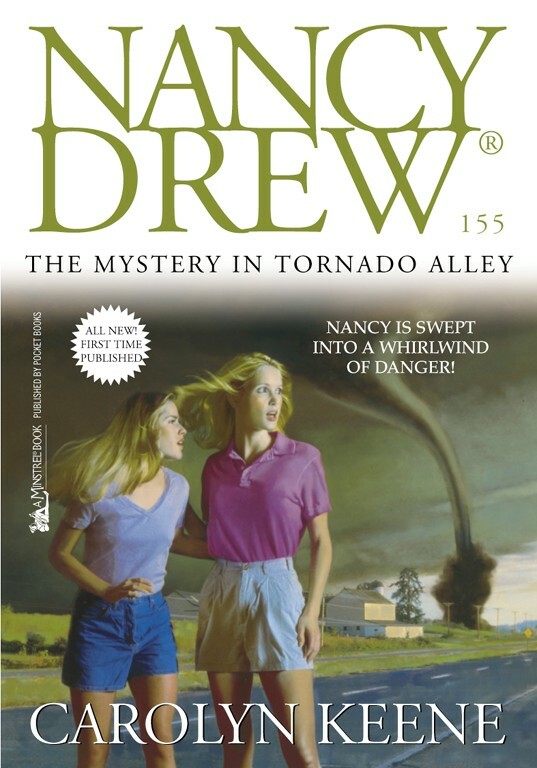 When charming Derek Owens, a tornado chaser at the local university, offers to help, Nancy accepts faster than a lightning flash. But the clues she discovers lead her deeper into peril, and Nancy’s soon fighting for her life—in the eye of a monster storm!